Welcome to the website of Giuseppe Filianoti! 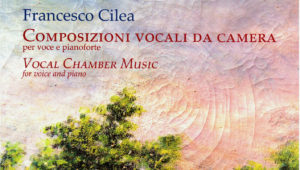 “…there is no denying his was the star vocal presence of the night..."
Ricordi has published all of the vocal chamber music of Francesco Cilea (1866-1950), most of which has remained unpublished until today, has been revised using original autograph manuscripts and printed editions. This collection includes an extended foreword and a detailed explanation of the texts by Giuseppe Filianoti, as well as a commentary on each piece by Francesco Cesari. All of the texts are in Italian and English. 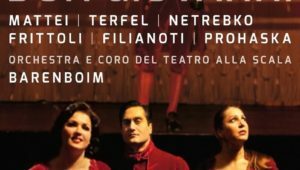 Deutsche Grammophon has released the DVD of the opening night Don Giovanni from Teatro alla Scala with Anna Netrebko, Peter Mattei and Bryn Terfel, conducted by Daniel Barenboim.